during the rule of ancient Greece and Rome. 2. Art in the Middle Ages revolved around Christianity. Listen to this Computer side chat(9:43). Watch the videos on the bottom of this page to help you learn more about Illuminated Manuscripts. This art book will help you with all questions. 1. A. Find three images of Middle Ages Art (500-1300) and paste them in your journal. 3. What is the artist trying to convey? B. Write a caption about each. A. 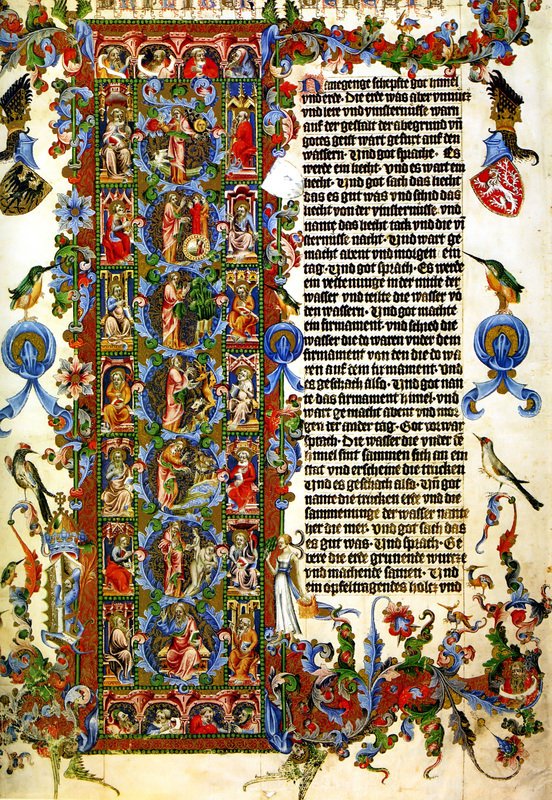 Who would have made illuminated manuscripts? B. How did they make illuminated manuscripts? C. Who would have seen illuminated manuscripts during the Middle Ages? D. What kind of life do you think it would have been making illuminated manuscripts? 5. A.What are religious relics and why are they important? B. Find two photos of religious relics and paste them in your journal. C. Write a caption about each. B. What instruments are used? C. Who heard this music? A. What art and music were like during the middle ages. B. How was art and music seen/heard by you (remember your role) and your group? Don't forget to think about when and where you would have seen art. Write about the emotions, feelings and thoughts you have when seeing pieces of art during the Middle Ages. For you project: Use the information you researched above to develop and design your group project.